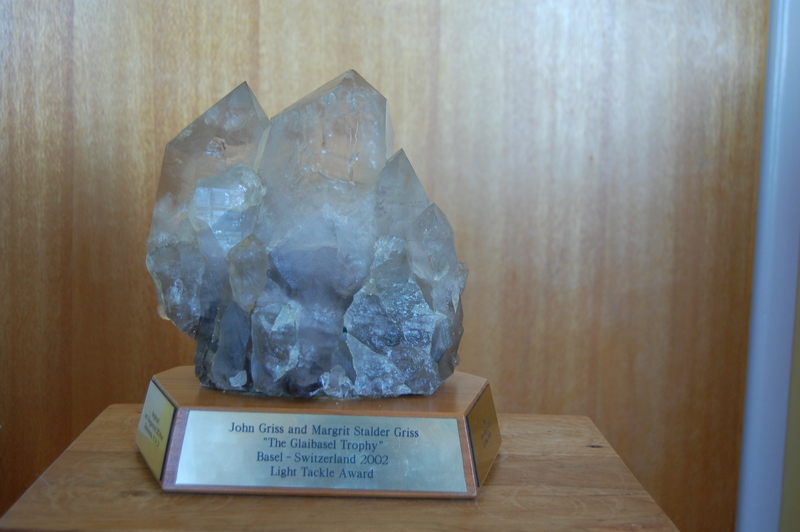 This trophy was donated by John and Margrit Stalder Griss from Basel in Switzerland. On the 3rd March 2002 the Club received notice of the trophy donation by letter from John and Margrit in which they said they wished to recognise, “all the wonderful fishing that we have enjoyed in Looe, especially with light tackle“. It was there desire that the trophy be known as the Glaibasel Trophy to which the club were agreeable. The terms of the trophy were for the heaviest shark on the lightest line with a minimum weight of shark to be 60lbs and maximum line strength of 20lbs breaking strain. 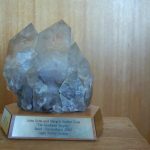 John and Margrit also very generously supplied a replica of the trophy for each of the winners for the following ten years.